Website Redesign, user experience enhancement, online booking, patients portal. The original Pisacano Eye website was a basic HTML static website (no CMS), non-responsive, and with a poor navigability, and of course a dated design. The website had an important amount of data, but it wasn't easy to navigate, and even to read all the content, which was presented in a non user-friendly way. 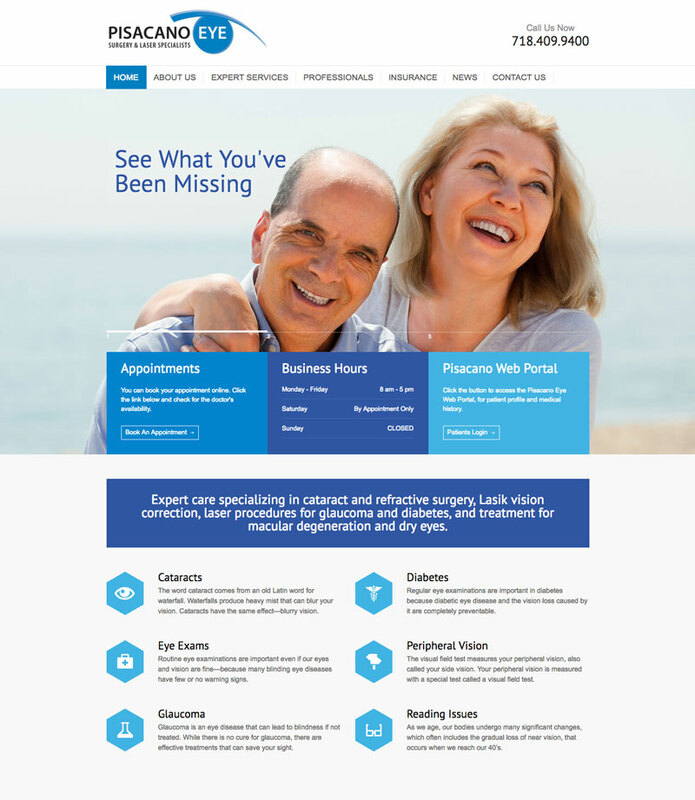 Based in our research we created new design that maximized the user experience, offering their patients all the content and services they were looking for, in a modern and accessible way. 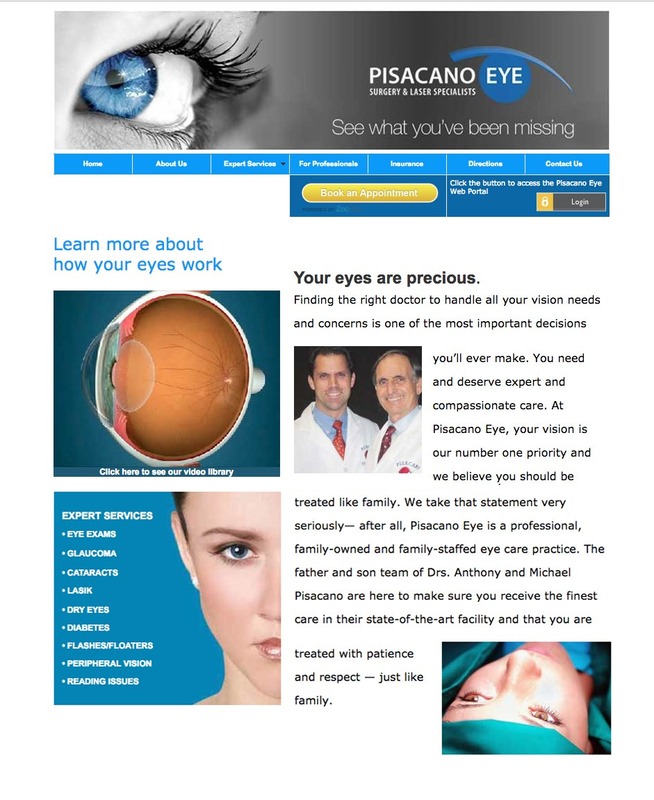 The complete redesign of the Pisacano Eye website by Responsive Media NYC was a success, allowing them to work more efficiently, and providing their patients a personalized and smooth experience.